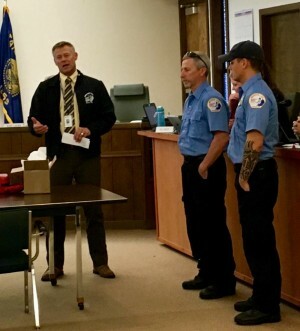 Members of the community gathered at a city hall where WLAD Executive Director Brian Burright recognized and presented awards to Paramedics and citizens for their life saving efforts at the Port of Siuslaw Campground and Marina last month. Two men went into cardiac arrest after fishing on September 8th and 18th, and now have another fishing story to tell you. 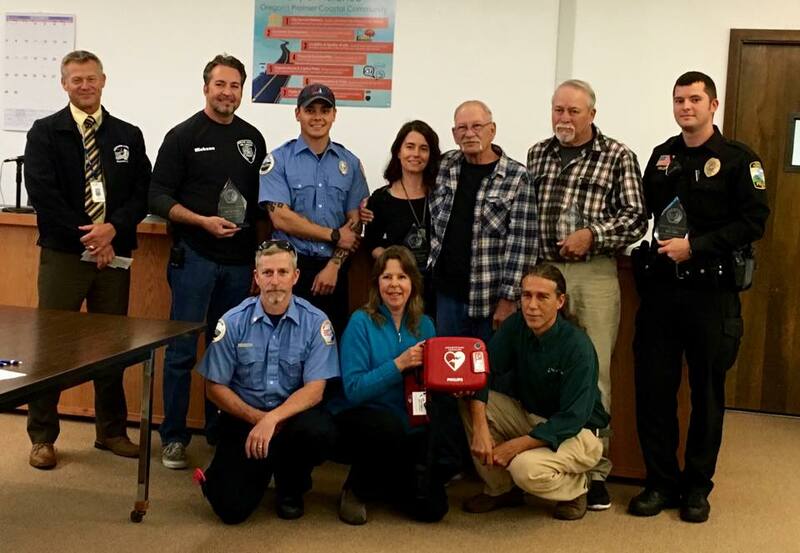 It was because of civilian CPR and advanced medical life support, including defibrillation and intravenous medications, that two members of our community are still with us today. I’m sure that we also speak for the patients, when we say thank you for all of your brave efforts. 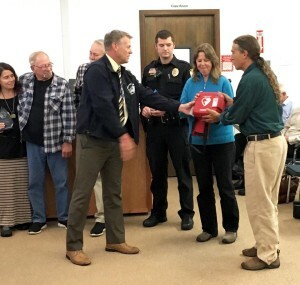 As another part of our community service, WLAD was also happy to gift an automated external defibrillator to the Port of Siuslaw in the event of another emergency.